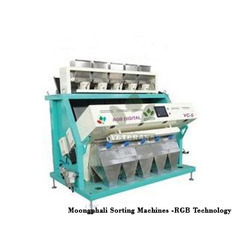 We are a leading Manufacturer of coffee bean sorting machines, ground nut sorting machines, groundnut sorting machines, moongphalee sorting machines, moongphali sorting machines and peanut sorting machines from Coimbatore, India. We are engaged in offering high quality Coffee Bean Sorting Machines that are high in performance and low in maintenance and are precision engineered. Available in different models, these are acknowledged by our clients. We endeavor to manufacture our range of machines employing technologically advanced machines and keeping abreast of time. Further these machines are availed in customized range and packed as per the requirements of our clients. Can be able to sort Good Coffee bean from Unroasted coffee bean separately which will give good aroma while use of the coffee powder. 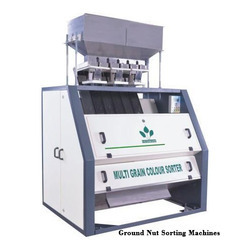 We are the most trusted name in the industry offering a wide assortment of Ground Nut Sorting Machines. Our offered products are made with superior quality material and spare parts that are sourced from reliable vendors of market. In addition to this, we employ advanced technology in the manufacturing process following industry set guidelines. We offer it to clients at reasonable rates. Can be able to sort white ground nuts and black/ brown colour aflatoxin ground nuts.